Saratoga Arts is a non-profit arts service organization dedicated to developing and promoting a thriving year-round cultural environment in Saratoga-area communities. 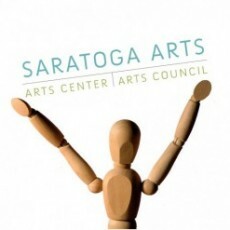 Since 1997, Saratoga Arts has operated The Arts Center at the corner of Broadway and Spring Street in Saratoga Springs, where it welcome viewers to exciting art exhibits, stimulates students of all ages and skill levels in a wide variety of art classes and workshops, presents performances of all genres and hosts programs by other arts organization, and funds many programs that bring the arts to every corner of Saratoga. Saratoga Arts also presents First Night Saratoga, a family-friendly community-wide arts festival that on December 31, 2010 brought 15,000-20,000 people to downtown Saratoga Springs. In 2010, the organization was awarded five pieces of World Trade Center steel from the Port Authority of New York and New Jersey; regional artists John Van Alstine and Noah Savett are transforming the material into a large scale sculpture called Tempered By Memory, and upon its completion, Saratoga Arts will donate the work to the City of Saratoga Springs for permanent display in front of the Saratoga Springs City Center. Directed by a professional staff and a volunteer Board of Directors, with support from many community volunteers, Saratoga Arts enriches the lives of those who live, work in, and visit the Saratoga region and has established itself as a vital force for the arts in upstate New York.